Parents can save themselves and their children from damaging custody battles. When parents understand how children’s coping behaviors can innocently escalate divorce conflict during divorce, most conflicts that cause custody battles can be avoided. Misinterpretations of their children’s behavior become the central arguments that attorneys use in court to prove who is the “better parent.” Too often, judges make custody decisions based upon this unhelpful and inaccurate evidence. 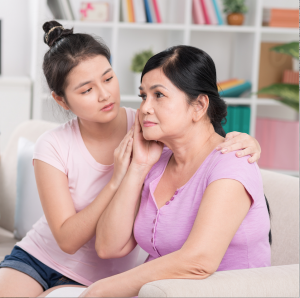 According to child psychologist and pioneer child custody mediator, Dr. Donald T. Saposnek, five common misinterpreted child coping behaviors, each with their own underlying emotions and functions, are important for parents to recognize as parents navigate the divorce process. If properly recognized by parents it could pre-empt an explosive custody battle, forever changing the course of children’s health and well-being. Several seem to appear with great frequency. Reuniting behavior is a result of the child wanting their parents to get back together. Children can experience feelings of abandonment during the initial separation period. In attempts to protect their own survival, and reduce their anxiety, children may act to reunite parents. They might tell one parent how much better the other has been since the separation in an effort to bring them back together. However, this only serves to cause increased resentment between parents, and becomes ammunition for the first shots in a custody battle. A very young child might revert to bedwetting, thumb-sucking, and excessive crying when the child is experiencing feelings of anxiety related to abandonment. Separation distress can happen each time a child is transferred from one parent to the other. It is normal for children to experience a sense of emotional loss each time they leave one parent and join the other. This emotional reaction generally indicates a close bond with both parents. Yet, a well-intentioned mother will often misinterpret the behavior as evidence that the child prefers to stay with her. An exasperated father will often assume that Mother’s bad-mouthing him is responsible for their daughter cries when she comes to him. Both parents will fight for increased parenting time based on false assumptions. Children often cry and may resist leaving a parent. Children will inherently act in ways that seek to gauge whether each parent still love them. They will also act and communicate in ways to prove their loyalty to one or both parents. Testing love and proving loyalty are both child strategies that stem from the same fear of rejection and potential neglect they perceive possible in the absence of a nuclear family unit. They are survival mechanisms that are normal and should be approached gently and with acute awareness of the coping behavior. Children may “test the love” of a parent by showing and telling a parent how much they love them. If Mom is on the receiving end, she might misinterpret the increased affection as evidence that the child does not want to live with Dad. In turn, Dad may accuse Mom of poisoning the child with negative communication about him. Proving loyalty occurs when a child feels she cannot love both parents, if they do not love each other. Misinterpretations of the extreme behavior can cause both parents to seek sole custody of the child in a bitter court battle. This results in the child sacrificing, at least temporarily, the relationship with one parent, thus proving loyalty to the other. Often this means siding entirely with one parent and cutting off the other. During times of separation conflict, parents may unintentionally vent their anger toward children. This can trigger self-esteem protection coping behaviors. As children withdraw to avoid the conflict, parents may blame the other for the child’s visible lack of emotions. 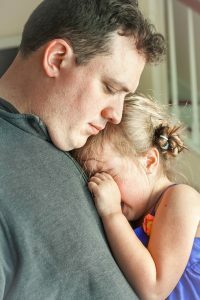 Parents also misinterpret a child’s withdrawal as the child lacking significant feelings about the divorce, or being “okay” with the separation, which is rarely the case. Children may begin to hide their feelings about the divorce by refusing to talk about their emotions or may deny that they even feel anything about the changing circumstances. When children internalize feelings, especially in a situation as stressful as divorce, it can often result in psychosomatic illness. Children may naturally seek to comfort their parents during the difficulty of a separation. The instinct comes from love and empathy for their parents’ pain, but also stems from their own self-interest for emotional survival. Because children need emotional security and stability from their parents and in part, out of fear of emotional abandonment, children may attempt to boost both parents’ self-esteem. In a typical scenario, a young child may tell Mom that she wants to live with her, and also tell Dad that she wants to live with him. Both parents will interpret the behavior as the child surely wanting to live with them and seek parenting time and custody in court. Navigating the divorce process can be overwhelming, but it doesn’t need to result in a custody battle. Choosing divorce mediation provides a healthier process that keeps the focus where it should be: on the well-being of children. It also can provide gentle guidance for parents on best practices for co-parenting after divorce . Recognizing the effects of divorce on children will help you understand the meaning behind your child’s behavior, diffuse emotionally charged situations, and ultimately make the divorce process healthier for you and your family. More information about divorce mediation and how it could help you and your family is available here. Michael Aurit, JD, MDR, a professional family mediator, is co-founder of The Aurit Center for Divorce Mediation in Phoenix, Arizona. He serves on the Board of Directors of the Academy of Professional Family Mediators (APFM). He is a Fellow of the Dispute Resolution Section of the American Bar Association (ABA-DR). He is also a member of the Association for Conflict Resolution (ACR), and Ethics Chair of the Maricopa County Association of Family Mediators (MCAFM). He holds his Juris Doctorate from Pepperdine University School of Law and Master’s Degree of Dispute Resolution from the Straus Institute for Dispute Resolution at Pepperdine. This article was originally published as “Recognizing the Effects of Divorce on Children” on auritmediation.com.